Keep large commercial signs, awnings and architectural features visible at night with an 18" Barn Light Shade. Paired here with an "up-and-over" arching gooseneck arm, this commercial-grade fixture boasts and all-aluminum construction. Add to that a choice of 25 rust-free powder coated finishes to match your unique design plans. And to capture the spirit of Barn Lights, wire guard and decorative globe accessories are available for a funky, industrial-inspired feel. Each brilliant commercial outdoor light comes with standard incandescent lamping, and the 18" Barn Light Shade is wired for a maximum 200W bulb. The size and brilliance of this gooseneck fixture makes it a great option for large sign, storefront and entryway lighting. 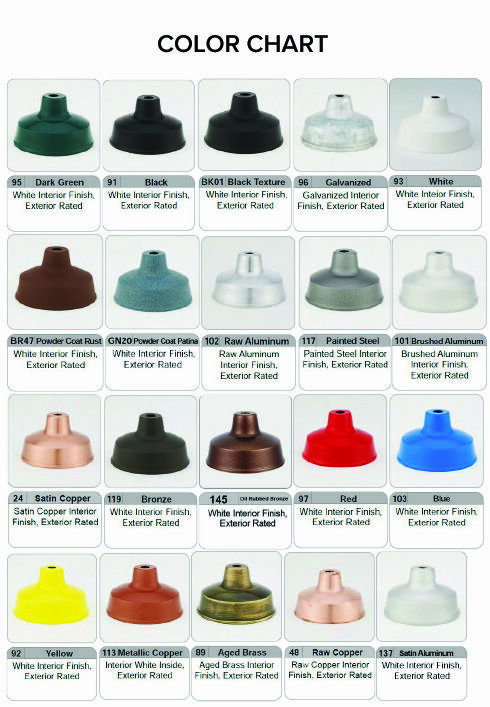 All UL Listed gooseneck lights come with sturdy mounting plates for use with standard 4" outdoor junction boxes. For interior applications, check for installation compatibility. Also available to order online are Gooseneck Lights with compact fluorescent or metal halide lamping. Please note MH gooseneck lights may require a different ballast option. For high pressure sodium or LED gooseneck lighting, please call toll free for details and a price quote.